At some point I will put up a detailed kit list, mostly for the benefit of other tourers who seem to like these things. In the mean time here is a bit of fun for those who keep asking, “what will you take with you?” It just goes to show that the basics of life don’t change, at home or on a bicycle tour. Wardrobes/drawers Cycling clothes x 2, evening clothes x 2, underwear x 2, training shoes, hat, gloves, socks. Bath, shower, toilet Wet wipes, trowel. Sofas, tables, chairs We can make very comfy seats from our inflatable mattresses actually. Ornaments and nick nacks Nope. No shelves in tent. Fridge/freezer No but we do expect the occasional frost. Shed full of tools, bikes, junk 2 x bikes, 4 x inner tubes, small tool kit. 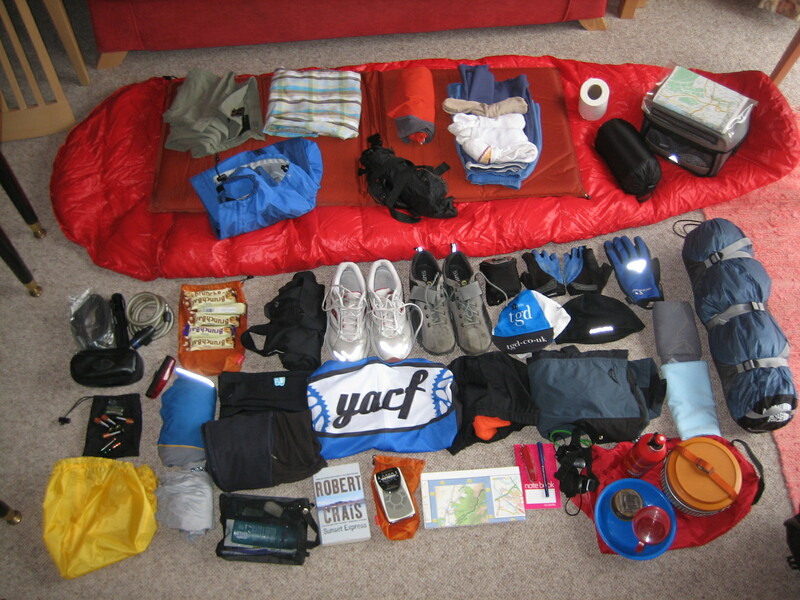 This entry was posted in Background, Preparations and tagged Cycle Camping, Cycle Touring, Equipment, kit, Spork, Warm Showers. Bookmark the permalink. I’ve just found your blog on t’internet. This is a terrific adventure.I feel obliged to admit that I a tad envious & hope that all things develop as you would wish them to. I have now read it from the begining & really look forward to reading more. Thanks mate. I’ve sent you a private message on the forum.